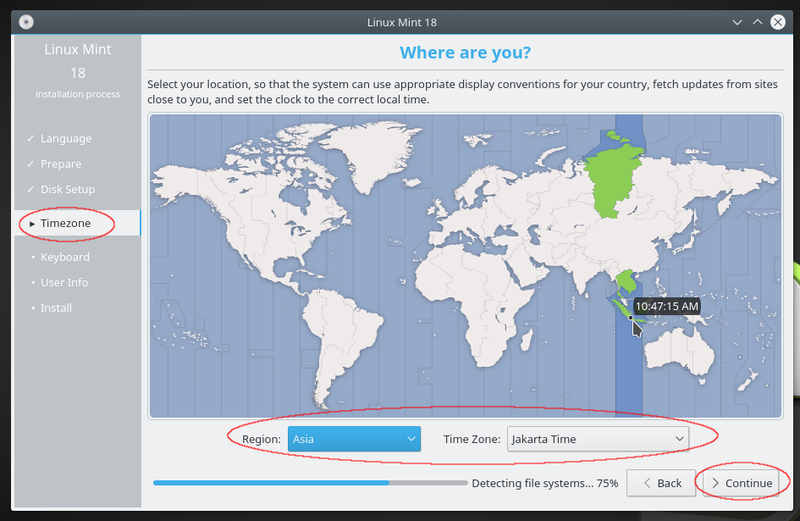 This tutorial guides you to install Linux Mint 18 KDE Edition operating system. It assumes the readers are completely new to GNU/Linux, and would install it into external hard disk drive. Installation process needs about 20 minutes or less in almost every desktop/laptop computer. 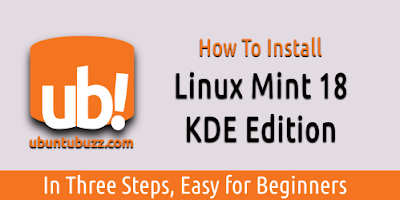 Linux Mint installation steps is generally very easy (even compared to Windows). The fastest way to download Linux Mint is by downloading via BitTorrent network. Download 32 bit torrent here, and 64 bit torrent here. Or instead, read our article about Linux Mint 18 KDE Edition download links. You must determine what partitions going to be used before doing the real installation. Best practice: you should prepare at least 2 empty partitions. One partition as the main partition, and one partition as swap. 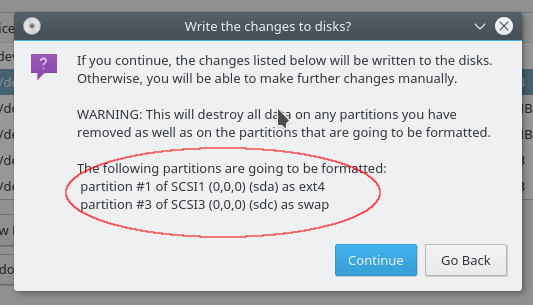 Determine at least 2 GB for swap partition. For desktop computers nowadays, having only 2 GB swap is fairly safe and it is commonly enough. You don't have to use old formula saying "swap = 2 x RAM amount". Except you would use hibernation, then create swap size same as RAM size. Please read https://help.ubuntu.com/community/SwapFaq for more information. Create backups for your important data! Don't be sleepy, have a good concentration while installing! 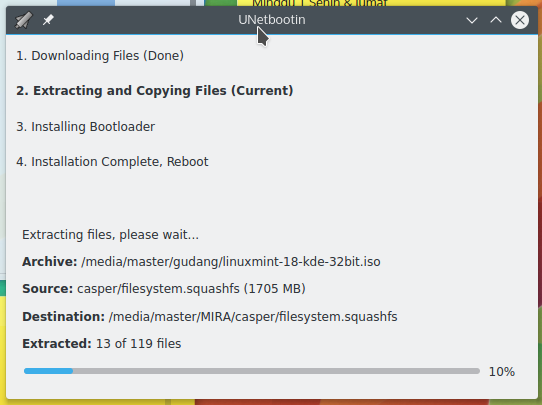 Burn the iso file to an USB flash drive and use it as a bootable Linux Mint installer. A bootable installer is the same thing as for example Microsoft Windows installation CD. Please remember that Linux Mint iso is about 1.8 GB in size, so use at least 2 GB flash drive. Use program such as Unetbootin or Rufus (both are free software under GNU GPL) to burn it easily from GNU/Linux or Windows system. After burning, reboot your computer into BIOS and set the first boot into that USB flash drive. If your bootable media is correct, then now your computer should run Linux Mint live session. By doing this, you will install Linux Mint from your USB flash drive. Choosing whether to install third-party programs (some proprietary software) or not. The most important thing is step 3, partitioning. We can group them all into 3 categories: before partitioning, partitioning, and after partitioning. (1) Choose language for your system. Choose English here. (2) Choose whether installing third-party software or not. It is best to choose No, assuming you install without network connection. (3) Choose the correct partition for the main system. (4) Press Change button. Change filesystem into Ext4 Journaling Filesystem. See picture above. (5) Check Format command towards the partition. See picture above. (6) Choose `/` (slash) as mount point so this will be the main partition. See picture above. 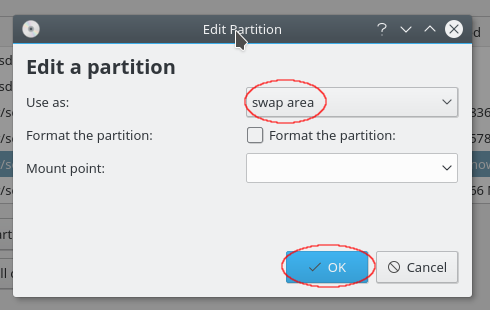 (7) Choose the correct partition for swap. (8) Press Change button. Change filesystem into swap. See picture below. (9) Choose the correct hard disk drive to install the bootloader of the operating system. Example: if your main system located at /dev/sda1, then the correct drive is /dev/sda. Another example: if your main system located at /dev/sdb8, then the correct drive is /dev/sdb. See the difference between numbered and non-numbered name. See picture above. Important: after choosing all things needed, the installer will inform you for any changes will be written. Read this information carefully, make sure every partition you format is the correct one, and make sure you did no mistake here. (10) Choose a timezone. It is the country area where you live. For example, I choose Asia, Jakarta. (11) Choose a keyboard layout. For most users, default selection is safe. (12) Create your user account information. It is better to choose Require my password to log in option. (13) System installation process is going. If you see a final dialog saying "Installation has finished...", then your Linux Mint is already installed and ready to use. 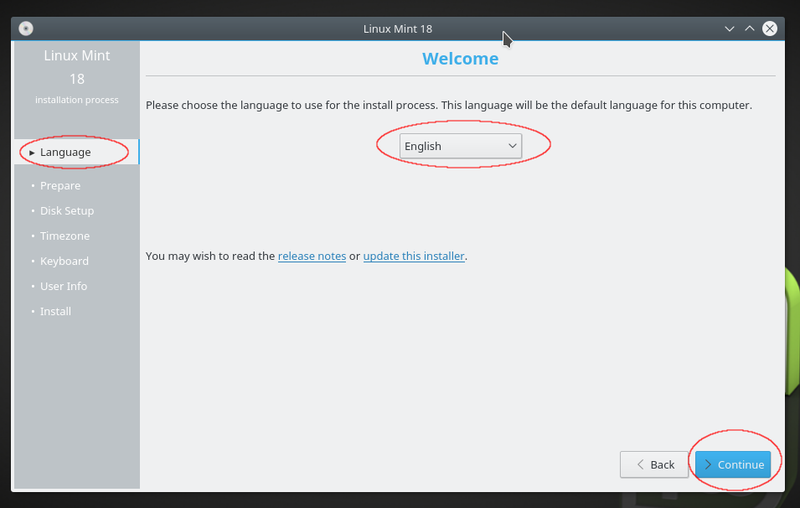 Just choose Restart Now to restart and select Linux Mint in the bootloader to enter Linux Mint operating system.